You can read ALL about our office makeover so far here, and specifically more about our most recent projects, which include our custom worktable with faux barn wood finish and DIY stenciled storage boxes. 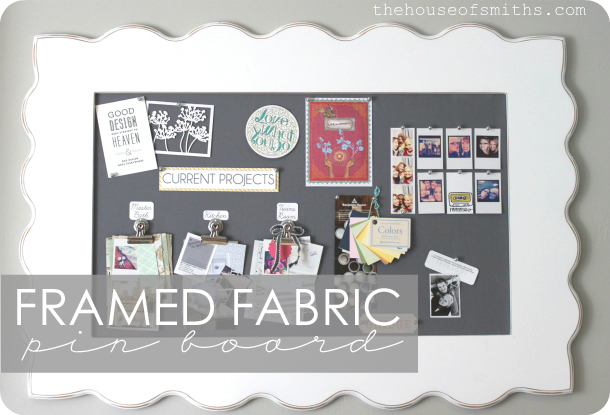 Today, I'm sharing my large framed fabric pin board!!! I'm seriously in L.O.V.E with this piece and couldn't be happier with how it turned out. A big huge thanks to one of our favorite, long time sponsors, Orange Blossom Shop, for making this fun project possible! * Find your perfect frame. I picked the Cooper style frame in white. My frame measures a total of about 45x31 inches. 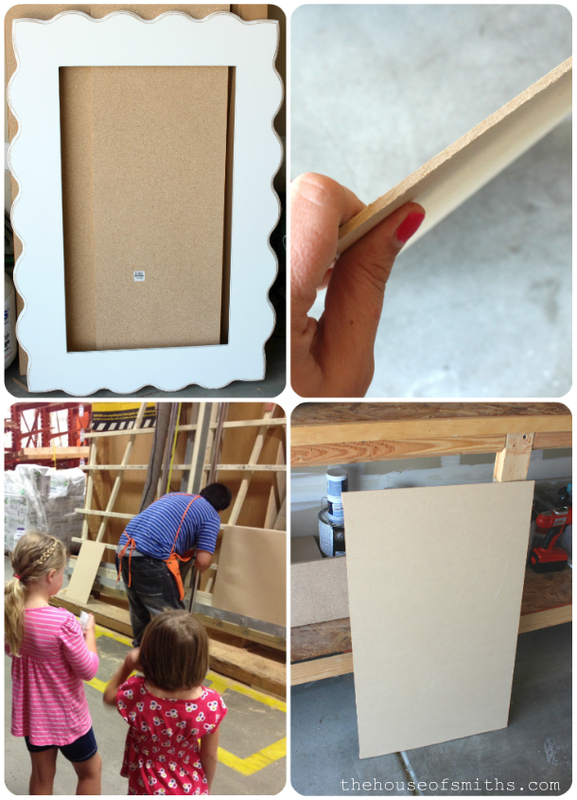 * Purchase a thin piece of MDF project panel board, to use a stable backing for your pin board. 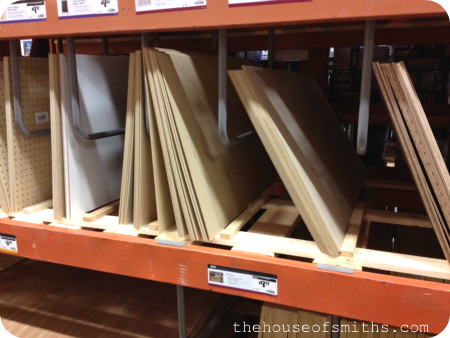 There are lots of different widths to choose from. * Using a roll of cork, lay your board (that is now the size of your frame insert) on top, and cut your cork out with a utility knife. I got my cork at Joann's. 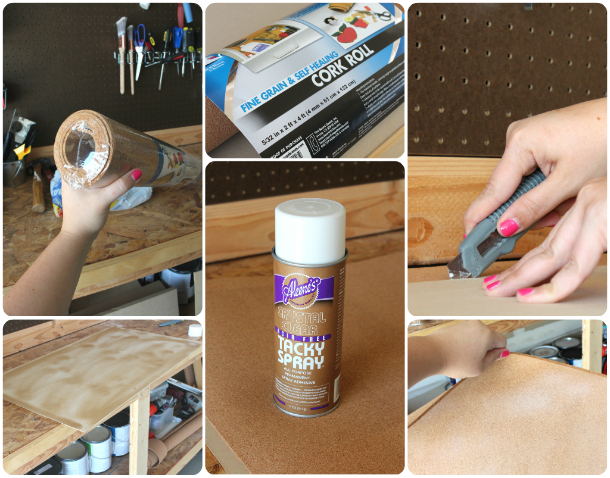 * Use Spray adhesive on the board AND on the cork. Let dry for about one minute, and then adhere the two together. * Purchase any fabric that you like, to cover your cork and board. * Iron your fabric well, so that you don't have any creases. * Lay your board with cork on it, face down on the fabric, and cut around it, leaving about an inch of excess, for wrapping the fabric tight. 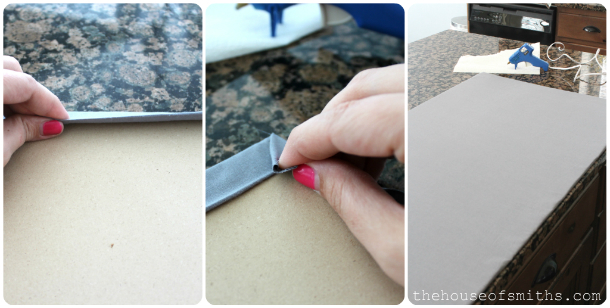 * Using hot glue, pull the fabric around the back of the board and adhere it. For the corners, just fold them in much like you would when wrapping a present. * Once your fabric is on, place the finished piece inside your frame, and use a point driver to shoot tabs into the edge, to keep everything in place. We purchased this tool at Hobby Lobby. It is AWESOME, and we've used it a ton! You can also find it here. If you don't want to purchase this product, then you can have tabs put in by the Orange Blossom shop girls as well! I just wasn't sure how thick my end product was going to be, so I finished it off myself. 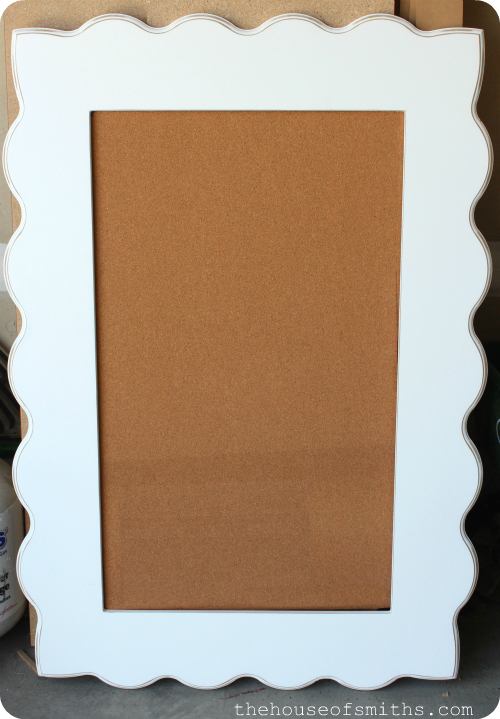 Your framed fabric pin board is done! I've used my pin board to collect quotes, art and photos that make me happy and inspire me, but most importantly, I use it to keep all my room decorating odds and ends together. It's great! I collect such random things to use as inspiration for room re-do's that it's awesome to have a place to put them all, now! I'm stoked about how this all came together. 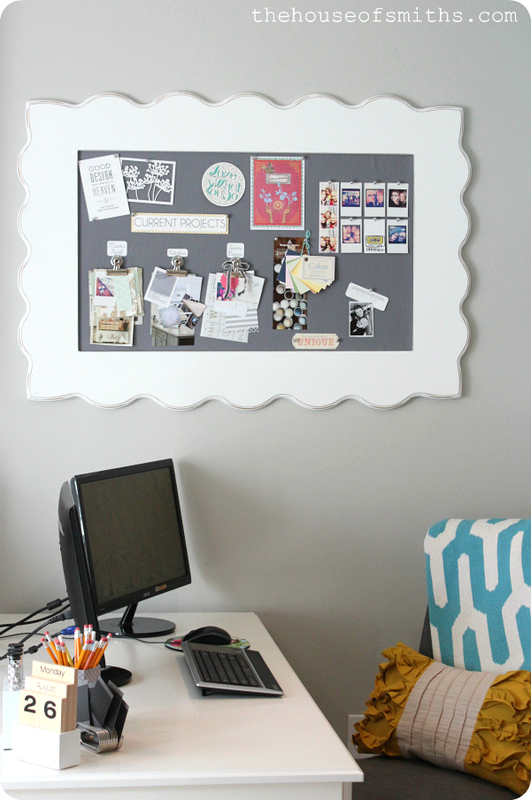 And really, the skies the limit with how you can make a fabric framed pin board work for YOUR space! 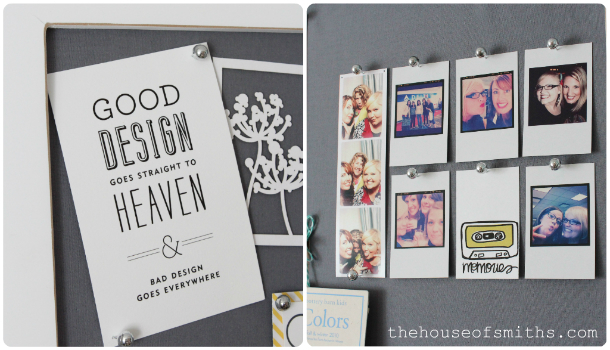 Think of all the different frame styles, fabric patterns/colors and decor that you can use and collect, to make your pin board a direct reflection of YOU! This is great! And you look beautiful. (by way of general PS) keep up the good work! Love it so much Shelley! And I LOVE the quote on good/bad design, ha! Love it! It turned out super cute! So cute! I am currently making something similiar. I love yours! Good job as always. Just love it!! So perfect! Love that - its a great way to add some pizzaz to what could otherwise be boring. Cute cute! Very cute! I am currently remaking my office, too. It's at the front of the house, so everything is a wreck, and it's the first thing people see. Loving your real live pinning board ;D.
the frame is adorable, but look at your beautiful profile! you're such a cute girl! this is so cute! now I want to make one. I also want a work space that's not in a common area (the kitchen) but that will all come in time. Thanks for the idea and tutorial! pinning to save for a rainy day! looks great! love the frame!! 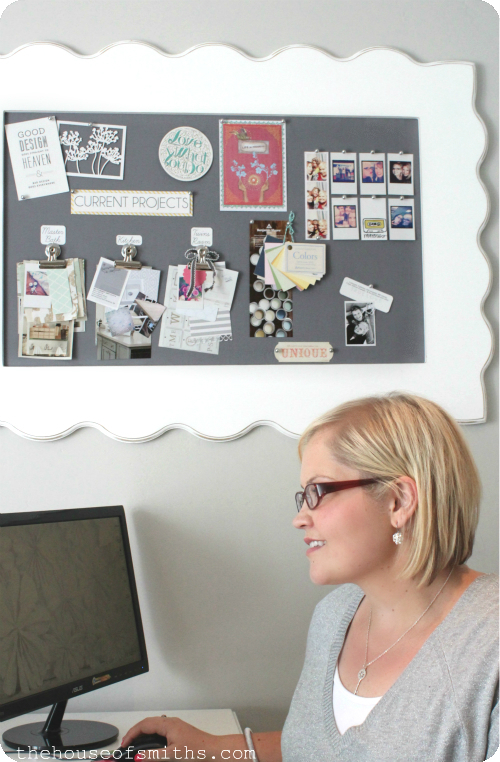 LOVE your office and your blog, but I really wish you didn't have that DIY video thing come on automatically! I wouldn't mind if I had the option to hear it, but for it to just come on spontaneously gives me a hear attack! But still love your blog. I love the frame!!! It's fantastic.I think something like this will look fantastic in my new baby's nursery. I love your board! Also, I was wondering where you got the mustard color pillow? I love that. Thanks! okay, so where is the size you bought on that website? Cute, cute board! Just wanted to say that we received our September edition of This Old House and it was so cool to see your entryway in there!! I saw it and thought, "I know that!" I love what you did to your closet and that's awesome to have it featured in a magazine. My husband and I both love This Old HOuse. Congrats! Wow that looks great. I thought it was chalk and a magnet board at first. I love the frame too. Love it! But not as much as you and your family. Miss you guys, 6 more months and then we can see all of the cuteness in person. It looks very nice, but how you trimmed frame? Soooo Cute! I love it. This is beautiful. The frame is gorgeous. 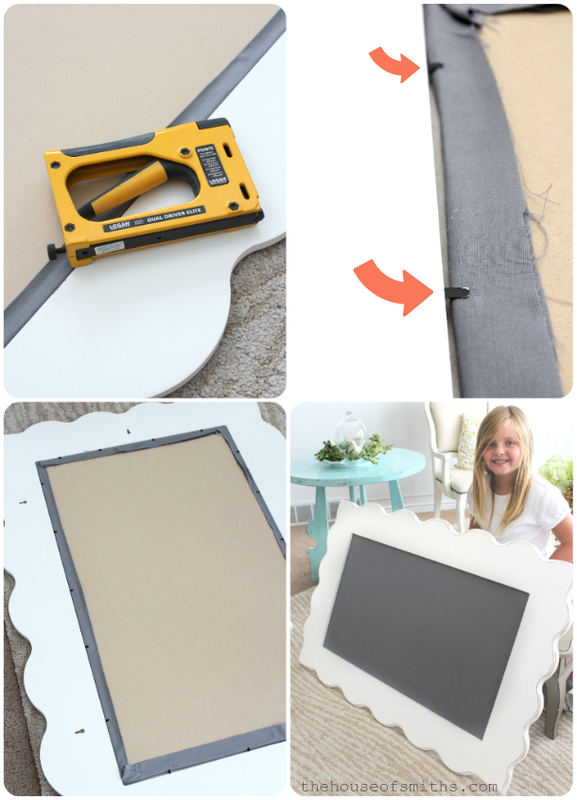 Since you've provided such stellar instructions, I'm going to make one with a cast off frame I have. Love the tool! Thank you! So fun to scroll through your post and take it all in, and then I hit the last picture... dang girl! I know you've been working hard and it shows! You look fantastic! Thanks for continuing to inspire! You are so gorgeous! you look GREAT girl! keep up the good work! Cute! That frame is great!! I was going to try the ole', buy a huge ugly goodwill print for the frame trick...until they installed our house alarm panel when I wasn't home to specify where..looks like I'll be ordering a frame now!! Love the office!!! Almost as cute as you! :) If only I had the money and energy...my office would look like that. BTW, I'm offering FREE E-designs at my blog, so spread the word. Love it! 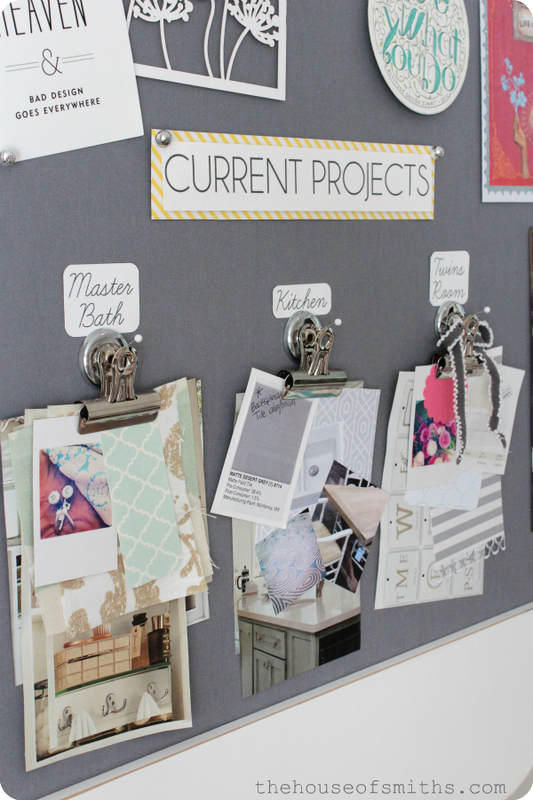 I especially like how you have all your project inspirations for each room clipped together. It looks really cool! Gosh you're getting slim and gorgeouser!! This is so great! I love the white and gray together. I might have to try this!! loves this!!! 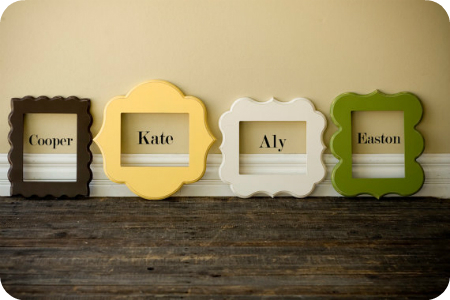 so doing this for my girls room!! yeah for your inspiration as always! Seriously you look hot! Keep up the amazing work. I love this!! I pinned it this morning:) Am I supposed to let you guys know when I do that? What are the "Blogger" rules. I'm not a Blogger, I just want to be respectful-thanks! So cute and creative!! I would love to know where you got your insta-Polaroid pictures and the sweet printables from your board? So cute and creative!! I would love to know where you got those Insta-Polaroids and sweet printables? And by the way keep your awesome inspiration and joy seeing your work!!! I really like the idea of the letter clips holding on those papers while attached with another substance sphere metallic sort of like. I would love to know where you got those sphere metallic look alike substance that are attached with the letter clips? It be much appreciated, thanks! My room is messed up with ideas and I always ran out of ideas with how I want to organise and tidy my room all the time. This piece of work of yours really gave me inspiration! It is truly awesome seeing this work, amazing!! 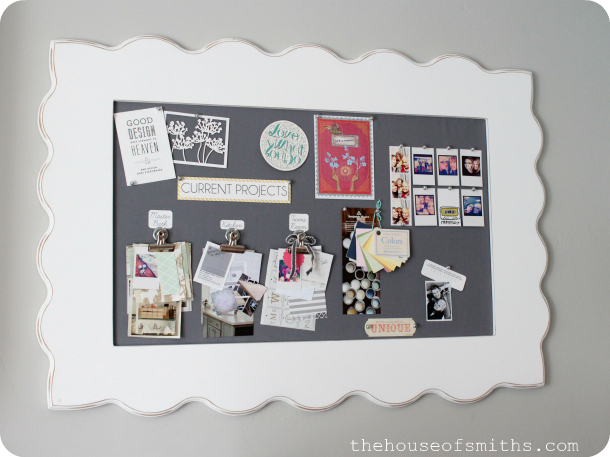 I need to make a board like that but for Future Projects..I'm in process of putting together a 3 ring binder of some projects I'd like to hire a contractor to do for us in 2015. The first 3 months of the year are usually so cold, snowy sometimes, and that is a good time to really put together something like you have created. Thanks for the inspiration! I'm my DH's caregiver, so don't know how much I'll get accomplished.